Heavy guitar riffs, loud drums and fuzzed-out vocals are vital ingredients to any garage rock sound, and Ponctuation have them in spades. Formed by Quebec City brothers Guillaume and Maxime Chiasson, Ponctuation's recent journey into psychedelic sonic ground for their sophomore full-length effort, La Réalité Nous Suffit, is a mark of their musical progress, as they build on the raw grungy sound of their 2013 debut, 27 Club. For this episode of Exclaim! 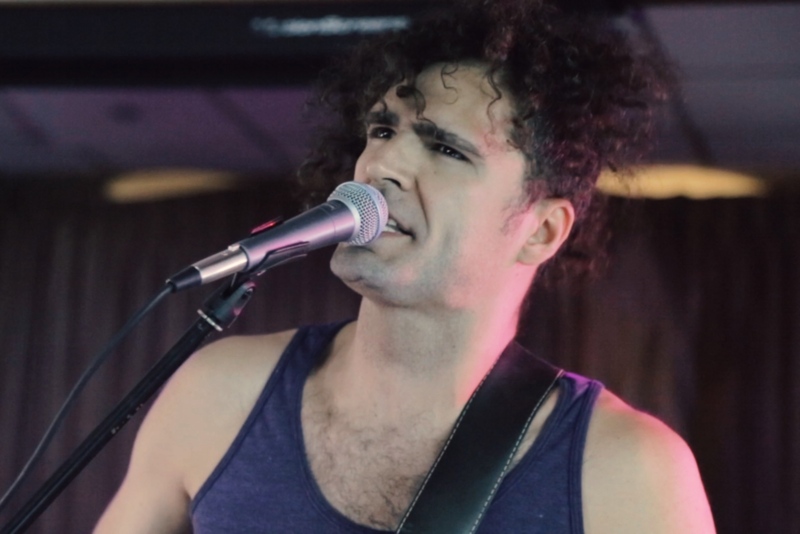 TV, we caught up with the band at their M for Montreal Bruise Cruise show during NXNE, where they performed "La Réalité Me Suffit" on a boat traveling around Lake Ontario. Despite having a different lineup, adding in bassist Laurence Gauthier-Brown and substitute drummer Alex Beaulieu, the band delivered a performance that embodies the same fiery energy as their recordings. Filmed at the M for Montreal Bruise Cruise in Toronto, Canada.